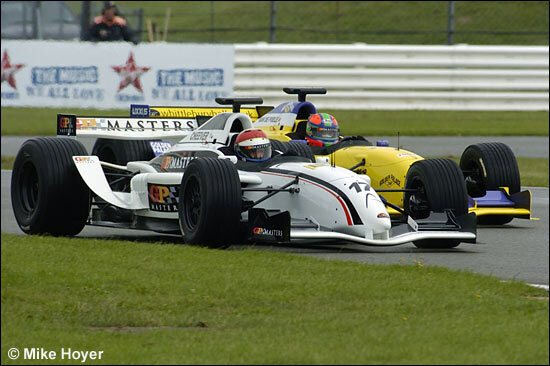 The Silverstone round of the GP Masters was held on August 13, with several well known sportscar drivers taking part in the event – which is our reasoning for posting this report. In fact, almost all of the drivers on the grid have competed in major sportscar events – and a couple of the more successful ones finished 1-2 on Sunday. For those who don’t know, the series is open for drivers aged 45 and over who have competed in Formula 1 races. Regular competitors include Nigel Mansell, Emerson Fittipaldi, Derek Warwick, Jan Lammers, Stefan Johansson, Eric van de Poele, Pierluigi Martini, and more. The cars are identical single seaters, designed by Delta Motorsports, with a 3.5 litre Nicholson McLaren engine producing in excess of 600bhp. Unlike contemporary Formula 1, driver aids such as traction control are not allowed. Of course, most of the Silverstone crowd were there to see Nigel Mansell, in the hope that he could repeat his victories in the first two races of the series, but the Englishman had a torrid weekend, with various problems meaning that he had very little track time. Mansell didn’t make much of an appearance in Saturday’s free practice, and a water hose failure left him stranded on the track in qualifying. This meant a start near the back of the grid, but several spins on the warm up lap saw him returning to the pits, and that was the end of the race for the 1992 World Champion. 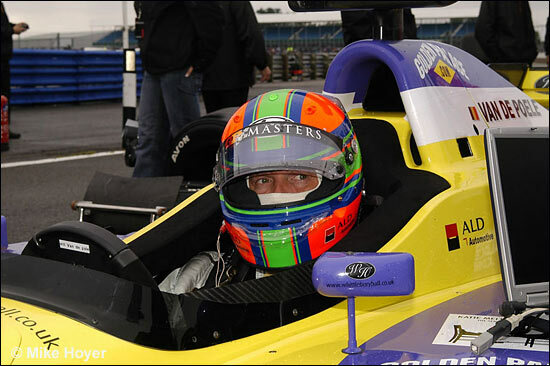 It was Christian Danner who eventually took pole position, after a close qualifying session - the top eight separated by less than a second. The German has driven at Le Mans, back in 1986, as well as the Spa 24 Hours, when it was touring car race. 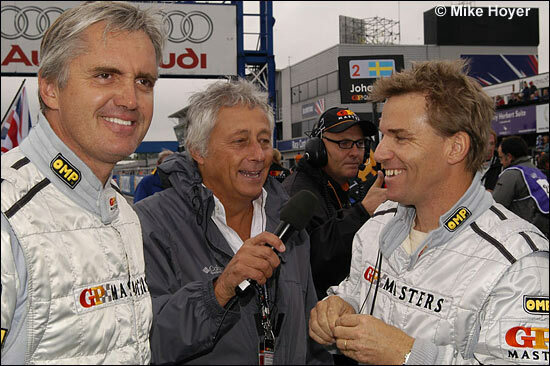 Stefan Johansson was second on the grid, ahead of Derek Warwick in third. The Englishman is no stranger to Silverstone and sportscars, having won here in 1992, driving for Peugeot - and in 1986 with Cheever in the XJR-6 Jaguar. Riccardo Patrese was fourth, with Jan Lammers fifth (below), and Eddie Cheever rounding out the top six. Cheever and Johansson seemed to be enjoying themselves. 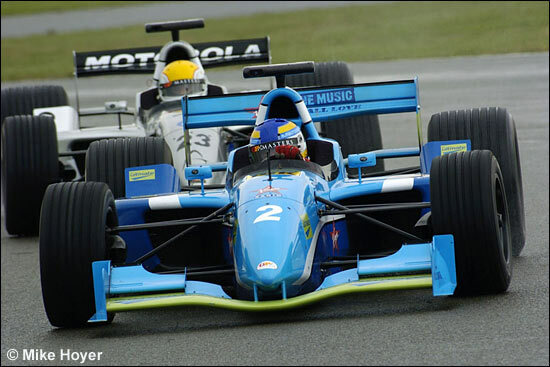 Mansell, Caffi, Martini and van de Poele (below) didn't record qualifying times. Race morning was very wet, and it was still raining fairly steadily as the cars took to the grid ready for the 1pm start. After two warming up laps (and the Mansell 'retirement'), the race got underway with a rolling start. Johansson made the best of it, getting ahead of Danner going into Copse, with a cloud of spray behind them. 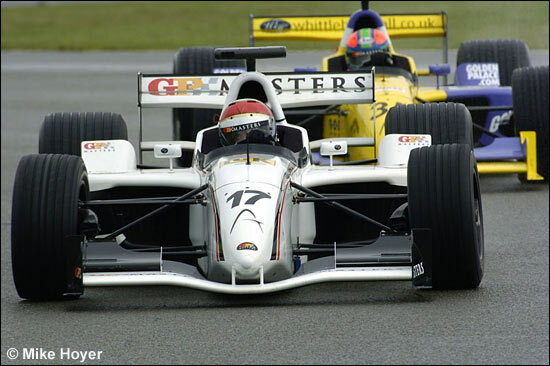 Derek Warwick made a good start, and maintained his third position, with Eddie Cheever moving up to fourth. Warwick looked to be the man on the move, but he was soon out of the race after contact with other cars; first it was Christian Danner at Woodcote, then Rene Arnoux at Stowe, forcing Warwick to retire. Mansell had also made a brief reappearance, but only lasted two corners - both British drivers out of the race after three laps. Cheever soon caught and passed Johansson, while Eric van de Poele was also on the move. The Spa 24 Hours winner had started from the back of the grid, but was slicing through the pack, some of whom were being extremely cautious in the treacherous conditions, the lack of driver aids making them look extremely difficult to keep pointing in the right direction. Le Mans team mates Jan Lammers and Stefan Johansson were also fighting over third position, with Lammers (below) getting ahead at Woodcote. 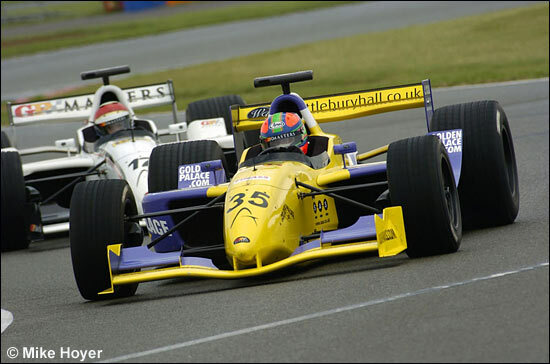 van de Poele was the man to watch though, putting Cheever under tremendous pressure for the lead (below). After some off-track excursions he got alongside into Vale. That didn’t quite work, but another attempt at Bridge, and the Belgian took the lead. Lap 13 saw Mansell make another attempt to join the race, but the differential in his car had exploded, and he reluctantly called it a day. Andrea de Cesaris lived up to his “de Crasheris” nickname, crashing into the back of Jan Lammers in his attempt to take third position from the Dutchman. This saw both drivers into the pits for repairs, and out of the podium running. Alex Caffi, another sportscar man, moved up into third place ahead of Hans Stuck, despite not having driven the car until the morning warm up. The Italian has tested for the series however. Cheever regained the lead from van de Poele on lap 20, and this time he was able to hold it until the end of the race, with van de Poele starting to drop back. Danner was back up into third after Caffi ran wide at Copse. 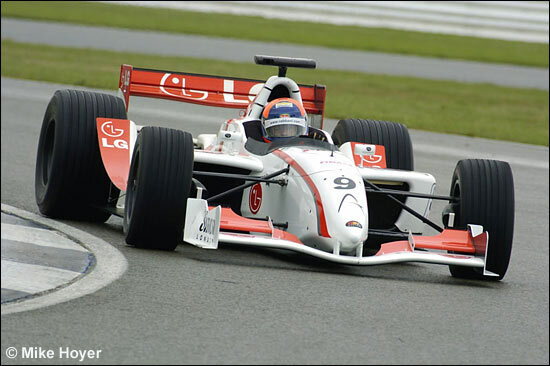 Van de Poele managed another spin at Woodcote, before settling for second place, as his tyres started to go off. After 28 laps, and one hour of racing it was Eddie Cheever who took the win, 17 seconds ahead of Eric van de Poele, with Christian Danner taking the final podium spot. Early leader Stefan Johansson retired with just four laps to go. Interestingly, as far as sportscar racing is concerned, Silverstone is where Eddie Cheever took Jaguar’s maiden victory in the World Sportscar Championship in 1986. 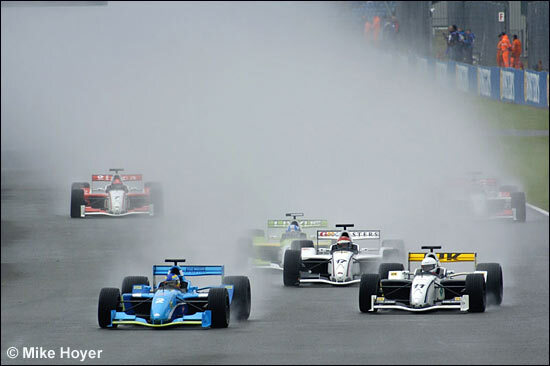 While the GP Masters mainly focuses on the Formula 1 history of the competing drivers, it is good to see some of the drivers who had much more success driving sportscars achieving good results in the awful conditions.